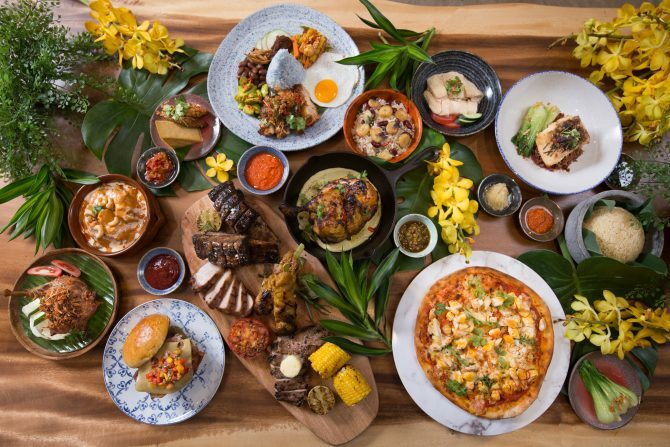 Launched on 1 April 2019, the all-day dining restaurant is located within Village Hotel at Sentosa and offers a delicious variety of authentic and wholesome Polynesian cuisine and beloved Asian favourites, in a family-friendly setting that welcomes the sharing of meals and conversations. The restaurant is helmed by Executive Chef Patrice Godino from France. With close to 20 years of international experience and expertise in a wide range of culinary styles, Chef Patrice has worked with top chefs in Europe and aspires to create a memorable dining experience for every guest. Under Chef Patrice’s direction, Native Kitchen’s menu will include iconic dishes from various islands in Asia as well as the Polynesian islands. Well-loved local favourites will be featured in the menu, alongside international food, to suit all palates. Fruits, meats and seafood prepared with a tropical twist are a major part of island dining, and feature prominently in Native Kitchen’s menu. 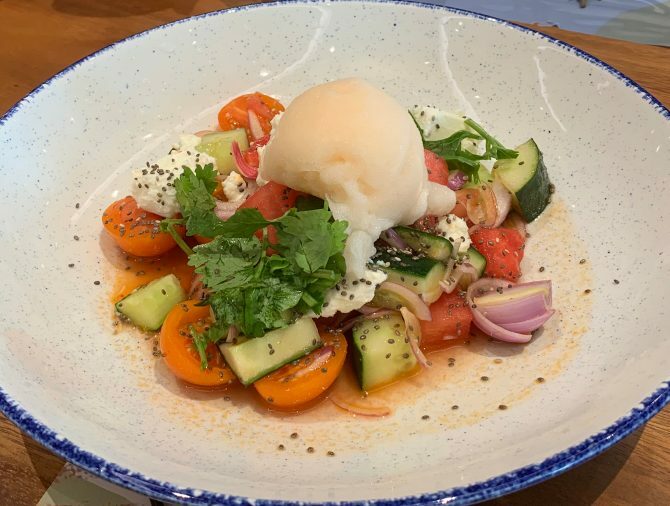 Start off your meal with the signature Watermelon & Feta Salad (S$14); a refreshing combination of watermelon cubes, feta cheese, cherry tomatoes and cucumber with lime sorbet and chia seeds that is bound to whet your appetite for more! 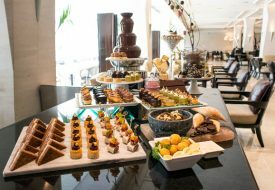 If you can’t decide which appetisers to get (because all the options look so tempting – trust us, we know! 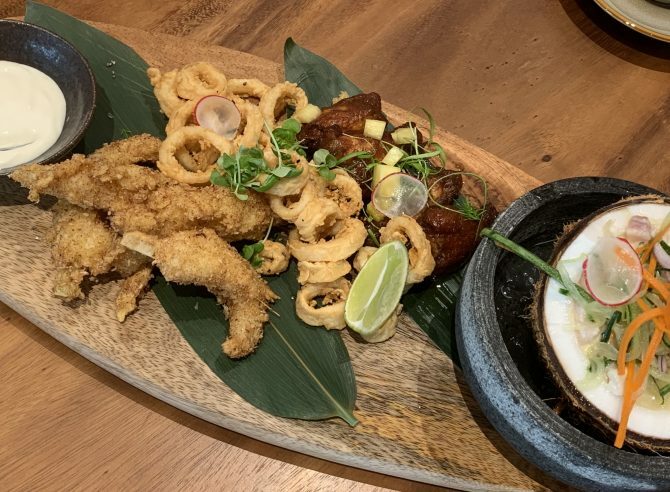 ), we recommend ordering the Appetiser Platter (S$28), consisting of top picks from the menu: Fried Calamari (S$18 for a la carte), Sticky Island Wings (S$18 for a la carte), Coconut Shrimp (S$19 for a la carte), and Chef’s signature Island Ceviche (S$18 for a la carte). A wonderfully summery platter, our favourites were the calamari and ceviche. The former had lightly crisp and savoury batter, with squid that had the right amount of chewiness; while the latter, a combination of fresh barramundi, cucumbers and carrots marinated in lime juice, coconut milk and ginger, was a moreish tropical delight. Heading to Native Kitchen with a high-key carnivorous crew? 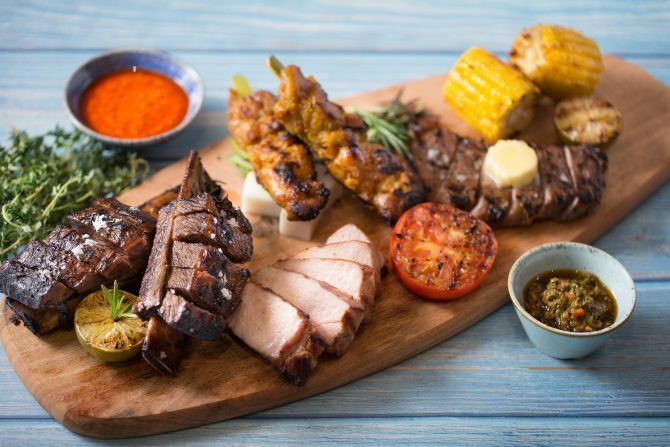 No worries – get the Meat Platter (S$118) to share! A wooden board is covered with hunks of meaty goodness: Short Ribs (S$35 for a la carte), Striploin Steak (S$38 for a la carte), Jumbo Satay Skewers (S$16 for a la carte) and Pork Shoulder (S$30 for a la carte). We especially loved the cooked-till-tender short ribs, and juicy striploin! Those who fancy Mediterranean cuisine would also find comfort in the pork shoulder, cooked in a shakshuka-like sauce. 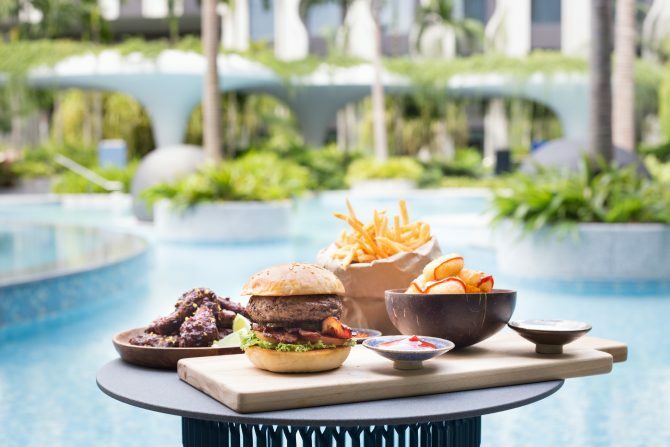 For mains, Native Kitchen offers hearty comfort food items such as the Big Kahuna Burger (S$28), a hefty hunk of a burger filled with chopped steak, grilled pineapple and thick bacon, and served with thick-cut fries. There are also familiar local dishes like the Native Kitchen Nasi Lemak (S$20) with home-made sambal, and Hainan Island Chicken Rice ($24). 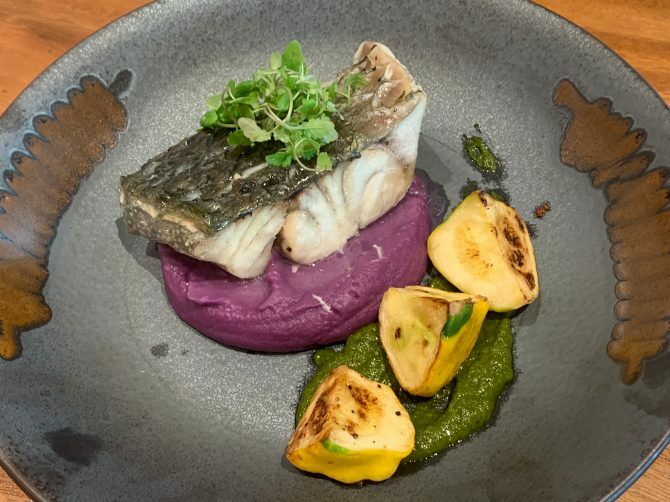 Those who prefer something lighter can opt for the Steamed Barramundi (S$34), served with grilled yellow squash, purple potato mash and coriander chilli pesto. This was our favourite main: the barramundi was lightly-seasoned and had the perfect texture, and the pesto was wonderfully fragrant with a hit of spice and an Asian twist thanks to the coriander. But what really set the dish apart was the purple potato mash: buttery, smooth, and honey-sweet in the way only Japanese sweet potatoes are. We scraped up every last bit! 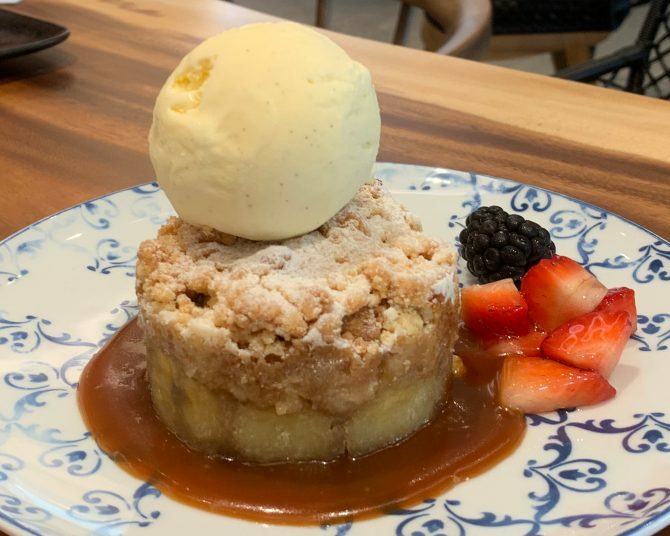 Round off your meal with a sweet treat – we loved the Burnt Banana Crumble (S$13)! A buttery and vanilla-y crumble tops off a base of caramelised bananas, before being drizzled with an oozy caramel sauce and served with vanilla bean ice cream and fresh berries. If you don’t fancy bananas and crumble, don’t worry! There’s also Pineapple Upside Down Cake ($22), Hula Pie ($20) – a chocolatey ice-cream “pie” with Oreos, macadamia nuts, whipped cream and chocolate sauce – as well as Key Lime Pie (S$14). A wide selection of cocktails, mocktails, spirits, beers, and wines are also available. With a nature-themed design revolving around the tropics, Native Kitchen has you thinking of hammocks swaying in the breeze, and laughter by the sun and sea as soon as you step in. 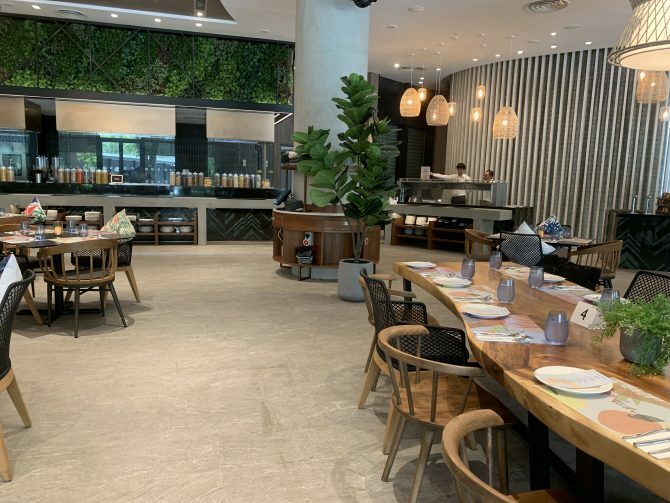 From the restaurant’s lush green wall, duo-toned herringbone patterned marble counters, to its iconic oversized white shaded pendant lighting, a meal at Native Kitchen promises to be a memorable experience. 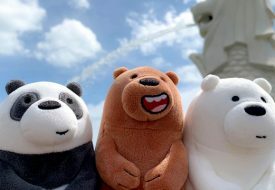 Plus, in conjunction with the restaurant’s opening, MasterCard holders can enjoy special perks when they pay with their cards: four main courses for the price of three (from 1 April to end September 2019), or 15% discount off ala carte dishes (from 1 April to 30 December 2019). 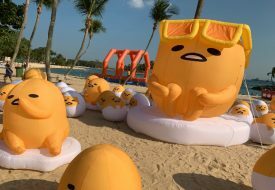 Terms and conditions apply and the promotions cannot be used in conjunction with other promotions, discounts, privileges and voucher redemptions unless otherwise stated. For reservations, email: enq_nativekitchen@refineryconcepts.com or call +65 6722 0818.